Hi everyone! Today we’re going to see a shade that I love particularly: Tiffany. I love this shade because it’s a mint, a real pastel mint, bright and shiny. But it’s simple to explain how gorgeous it is! Look! For this time, I didn’t have the idea from its name, I already had it when I saw 3 PP shades together: Tiffany, Jade and Camo. 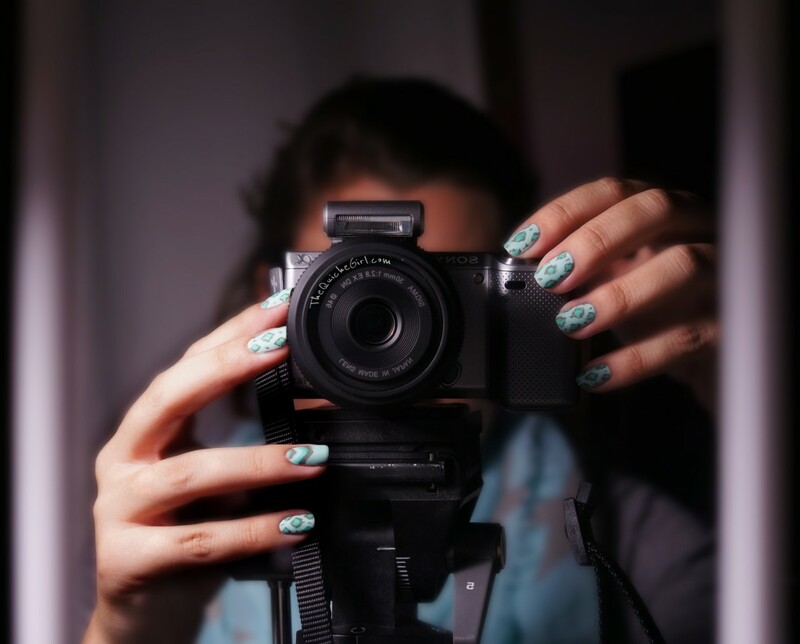 So today I’m going to introduce you a nail art with a fabric inspiration: Ikat’s nails. La réalisation ? Bon, on ne va pas se mentir, c’est long à faire… donc il faut de la patience, un dotting tool et un pinceau suuuuuuuper fin ! Et pour lui donner un côté encore plus tissu, une fois n’est pas coutume, je l’ai matifié. I made it with a little dotting tool and a small brush. I need to tell you that it’s quite long to do ^^. To have a real impression of fabric, I put my matte top coat.